Posted on Thursday, January 10th, 2013, by Brenda Pottinger under Misc.. This week the Perfect Wedding Guide and the National Association for Catering and Events teamed up for a great luncheon event. 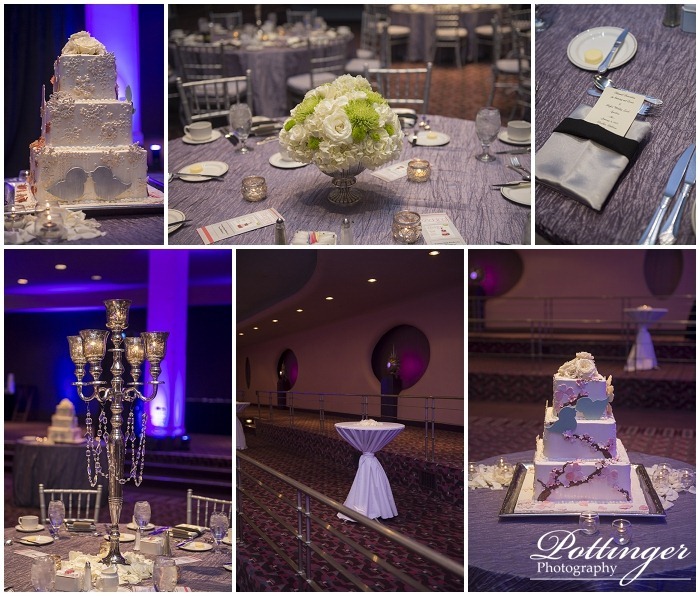 The Hilton’s Pavilion Caprice Ballroom was dressed with beautiful soft linens and dramatic lighting. Linnyette Richardson-Hall from the TV show Whose Wedding is it Anyway, gave a “State of Our Union” address about the wedding industry. Her topic was very timely and a great push to make 2013 a great year! The Filet of Beef and Pancetta Wrapped Shrimp by Chef Todd Kelly was divine. For dessert we had a beautiful wedding cake designed by Megan Ketover. I loved the four season cake design! « Baby It’s Cold Outside!